Our hosted payloads program allows you to leverage a commercial satellite bus to gain economical and timely access to geosynchronous orbit. We are a leader in delivering government payloads to space aboard our satellites, beginning with the Internet Routing in Space (IRIS) demonstration program for the U.S. Department of Defense in 2009. 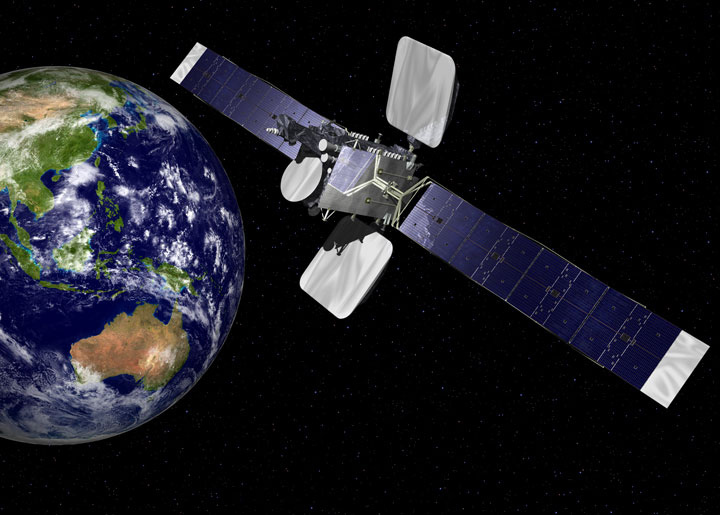 In 2012, we launched a hosted payload for the Australian Defence Force (ADF) aboard our Intelsat 22 satellite. ADF officials estimated that using a hosted payload instead of launching a full satellite saved the Australian taxpayers $150 million over the life of the spacecraft. Because of our extensive global fleet, we always have several replacement satellites in the planning stages, allowing you to take advantage of our launch schedule and our range of orbit locations. Federal Aviation Administration (FAA) – A dedicated L-band hosted payload launched in 2005 aboard Intelsat’s Galaxy 15 spacecraft has improved the accuracy of the FAA’s GPS-based air navigation system. The payload supports service for all classes of aircraft in all phases of flight, including en route navigation, airport departures and airport arrivals. The LEASAT Program – Each of the five LEASAT spacecraft provided UHF communications for the U.S. Navy fleet as well as the Air Force’s Strategic Airborne Command and various Army combat units. The last of the satellites, LEASAT 5, was launched in 1990 to provide services in the Middle East and Southwest Asia and has recently been retired. Internet Routing in Space (IRIS) – This demonstration payload for the U.S. Strategic Command contained an IP router onboard the IS-14 spacecraft, launched in November 2009. IRIS represents the next generation in telecommunication service with an ability to extend internet routing into space. Australian Defence Force (ADF) – A UHF payload for the Australian Defence Force was launched in early 2012 aboard the IS-22 satellite. The Australian government estimates that over the 15-year life of the payload, the military will save more than $150 million, compared to the cost of launching its own satellite. Hosted payloads provide fast, affordable, easy access to space for government payloads on commercial satellites for applications that include communications, space situational awareness and earth observation. Satellite industry alliance promoting the benefits of government payloads on commercial satellites. The Hosted Payload Alliance (HPA) was founded in 2011 to increase awareness about the benefits of hosted government payloads on commercial satellites. The HPA strives to create an open dialogue between government and industry to encourage the benefits of hosted payloads.